Traffic Ramaswamy movie review: A tight script without clichés would have helped! 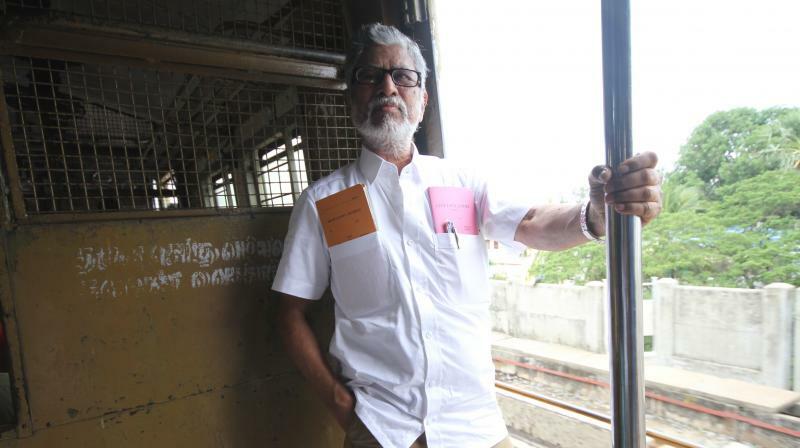 SA Chandrashekar who has an uncanny resemblance to real life Traffic Ramaswamy is aptly cast and he does full justice. A still from Traffic Ramaswamy. Right in the beginning the makers claim that their film ‘Traffic Ramaswamy’ is loosely based on real life social activist with the same name known for his constant efforts to expose the evils in the society with his record filing of Public interest litigations. The movie opens with Vijay Sethupathy (cameo appearance) reading a book titled ‘One Man Army’, which talks about the deeds of Traffic Ramaswamy. Cut to the next scene, an episode from the book opens with SA Chandrashekar reprising Traffic Ramaswamy. A sequence of events that happened in Ramaswamy’s life unfolds. He fights and succeeds in protesting against a TASMAC shop that has been opened closer to a school and temple. He regulates traffic. Then, there’s an event when he exposes a lady cop who tries to sexually harass her driver. This act of him later lands him in police custodial torture. And then he fights to remove the already banned killer fish carts from the roads. The director has also tried to capture an emotional quotient as how his family supports him after every assault or attack on him. SA Chandrashekar who has an uncanny resemblance to real life Traffic Ramaswamy is aptly cast and he does full justice to his role with his energetic performance. Rohini as his wife is ok. The cameos include Vijay Sethupathi, Seeman, Vijay Antony, Kushbhu and Prakash Raj. Director Vicky has taken few cinematic liberties in the name of commercialism, especially the court scenes involving Ambika (who essays a judge) portrayed as clownish, which are ridiculous and totally underwhelming. And not to miss an unpleasant item number which pops up from nowhere. A tight script without clichés would have helped!